New day, new challenges. Race 2 of the “Gamma Racing Days” in Assen (NED) went more or less smooth in front of an awesome crowd of 94.500 spectators. Twelve drivers started in the BOSS GP FORMULA class. There were no crashes tough as on Saturday, despite early exits of Veronika Cicha (H&A Racing) and Karl-Heinz Becker (Becker Motorsport). First trouble occured already before race start. 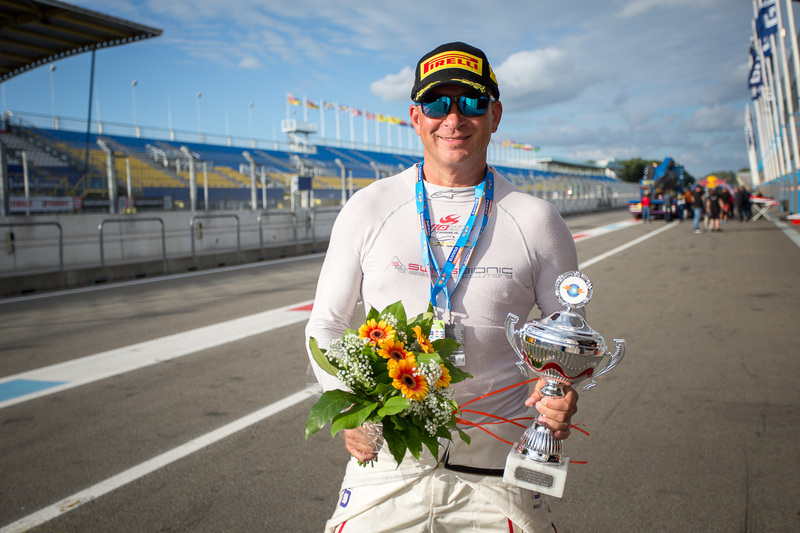 Ingo Gerstl (Team Top Speed, OPEN class), ranked on start position 14 after his early race exit on Saturday, was put on the pole position by a decision of race director and stewards due to safety reasons. “Actually I was surprised about that decision, made by the race management. I didn’t ask for, it was decided because of safety reasons”, Gerstl explained after the race, since there was some trouble about that decision anyway. 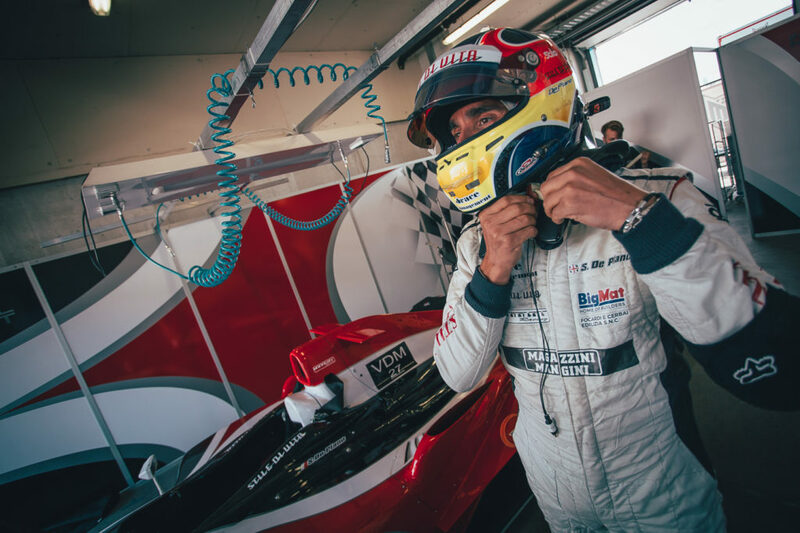 Finally Johann Ledermair (Ledermair Motorsport), initially set on pole position, started from position 2 of the start grid, followed by Salvatore De Plano (MM International Motorsport) and Mahaveer Raghunathan (PS Racing by Coloni Motorsport). Ledermair showed a strong performance, dominating the FORMULA grid as on Saturday again. “The car was brilliant, my team has done a great job – everthing worked out smooth!”, Ledermair was fine with his race after the podium ceremony. “I think I lost some time during the yellow flag phase, since there was a signifcant gap to the other cars before the yellow flag and no gap, when the yellow flags were gone.” Nevertheless the Austrian brougth his second P1 of the weekend home safely, with an gap of 11,673 sec in front of P2, Salvatore De Plano, and driving his fastest lap in 1:25,624 min. The Italian had have some “tyre trouble” at the first race on Saturday. “Our race went perfect today. Tyres worked out great, race conditions were fine, it was just a perfect race for us, fantastico!”, De Plano smiled widely after the podium ceremony. He had driven his fastest lap in 1:26,726 and in fact sent Mahaveer Raghunathan on P3. The Indian finished with an significant gap of 18,516 seconds behind De Plano. De Plano preparing for race 2 in Assen 2017. Marc Faggionato (Zig Zag), Walter Steding (Inter Europol Competition), Armando Mangini (MM International Motorsport), Peter Göllner (Speed Center), PETER (Ray-Ban), Christian Eicke (Speed Center) and Wolfgang Jordan (H&A Racing) finished on following positions. Karl-Heinz Becker (Becker Motorsport) had to quit his race after lap 10 due to technical issues. Veronika Cicha spun off the track already in first lap. Peter Göllner had a spun during the start phase too, but managed well and was able to continue the race, as well as Wolfgang Jordan in lap 5. So at the end of the race weekend in Assen, fifth stage of the BOSS GP championship 2017 overall, the total ranking of the FORMULA class hasn’t changed that much: Mahaveer Raghunathan is keeping the lead of the overall ranking with now 213 points, followed by Salvatore De Plano with 199 points. Johann Ledermair follows sharply behind on third rank with now 197 points. Since OPEN and FORMULA class have different classifications, but drive together at the same race, the whole start grid of 14 drivers started at the same race. Next stage of the 2017 BOSS GP championship season is Brno (CZ) on 9th/10th of September 2017. New day, new challenges. Race 2 of the “Gamma Racing Days” in Assen (NED) went more or less smooth in front of an awesome crowd of 94.500 spectators. 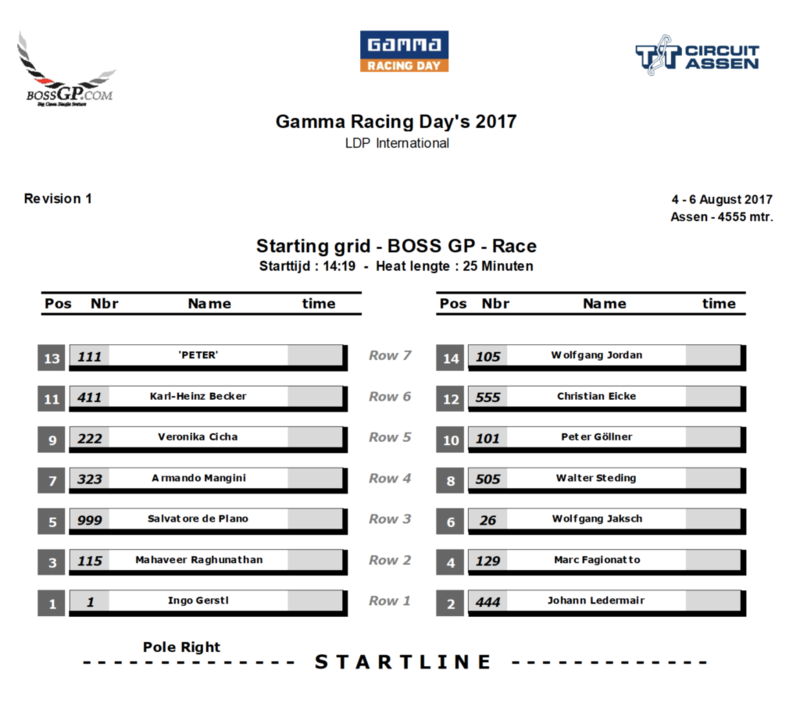 Two drivers started in the BOSS GP OPEN class. There were no crashes tough as on Saturday, despite Wolfgang Jaksch had to quit two laps before race finish due to technical issues. Ranked on start position 14 for Ingo Gerstl after his early race exit on Saturday, the race director and stewards decided for safety reasons to put the Austrian on the pole position anyway. “Actually I was surprised about that decision, made by the race management. I didn’t ask for, it was decided because of safety reasons”, Gerstl explained after the race, since there was some trouble about that decision anyway. As expected the Austrian dominated the grid from the start, showing a confident race, securing as well the win of the total grid as the P1 of the OPEN class. Gerstl drove his fastest lap in lap 10 with 1:22,277 min, being significant slower than in free practice and Qualifying. “I did what I had to do, but actually didn’t drive faster than necessary. Now I’m happy, that the race and the race weekend are done without any further problems”, the Austrian explained after the podium ceremony. In fact some the trouble about the decision about the start position had affected the focus on the race, as well as the duel against Klaas Zwart, which lots of BOSS GP fans and spectators had hoped and waited for, was heavily missed, due to the crash of the Dutch in the free practice session on Saturday morning. “This was really a crazy race weekend. We hope for a better one at the next stop in Brno”, Gerstl explained. The gap between Gerstl and second OPEN class driver at the grid, Wolfgang Jaksch, was significant, Gerstls P1 was never in question. Jaksch drove his best lap in 1:27,167 min (lap 7) and finished on position 9 with a total time of 24:07,081, finishing 16 laps. Due to technical reasons the German quit earlier than planned, two laps before the finish of the race. Wolfgang Jaksch quit two laps before race finish. At the end of the race weekend in Assen, fifth stage of the BOSS GP championship 2017 overall, the total ranking of the OPEN class hasn’t changed that much: Gerstl leads the grid dominantly with 125 points reached in six attended races. Jaksch on second rank as runner up has a total of 107 points out of six races attended. After a free practice session, which ended with an horrifying crash of OPEN class driver Klaas Zwart (Team Ascari) and a smooth Qualifying with Johann Ledermair (Ledermair Motorsport) finishing as fastest driver of the FORMULA class, teams and spectators finally experienced quite a strange race at the end of the day at the “Gamma Racing Days” in Assen. Ledermair was followed by Mahaveer Raghunathan (PS Racing by Coloni Motorsport), who finished the race on P2 and raced his best lap in 1:28,825. The Indian was overtaken by Salvatore De Plano (MM International Motorsport) directly after the start, but stepped back to position 2 of the grid in lap 5. “I’m fine with the result. Due to the long safety car phase in the beginning of the race, I wasn’t able to attack and push as I actually would have wanted to”, Raghunathan told us after the race. Mahaveer Raghunathan before the start of race 1 in Assen 2017. First podium position this season claimed Marc Faggionato (Zig Zag), who finished the race on position 3. Not only at the FORMULA class, but in total as well. Faggionato performed his best lap in 1:31,966 min. 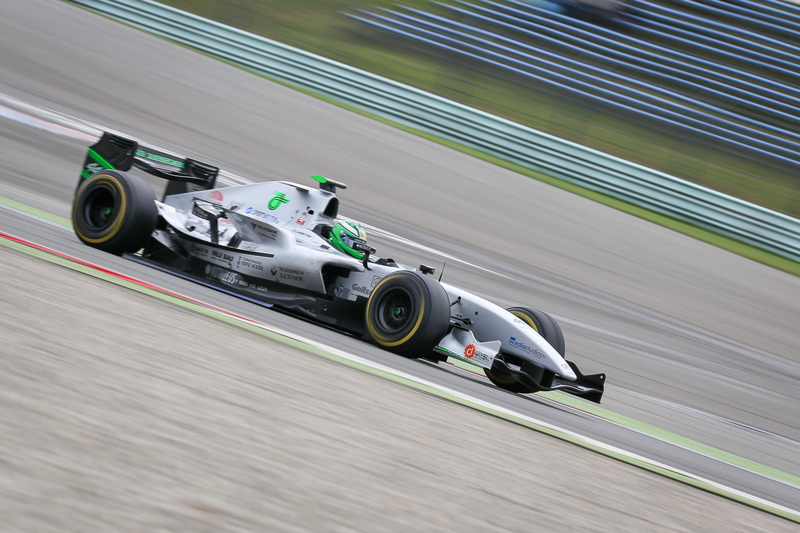 He was followed by Salvatore De Plano (MM International Motorsport), who was set back by a spun in lap 4 (from position 3 back to position 10). De Plano showed a great catch-up and finally finished on position 4, still managing to overtake OPEN class driver Wolfgang Jaksch during the last lap. So De Plano, current runner up of the overall FORMULA class ranking, missed his next podium of the season really close. The Italian performed his best lap in 1:30,761 – actually a top-3 time. Armando Mangini (MM International Motorsport), Walter Steding (Inter Europol Competition), Veronika Cicha (H&A Racing), Peter Göllner (Speed Center), Karl-Heinz Becker (Becker Motorsport), Christian Eicke (Speed Center) and ‘PETER’ (Ray-Ban) followed on the next positions. Since OPEN and FORMULA class have different classifications, but drive together in the same race, the whole start grid of 14 drivers will start at the same race on Sunday at race 2 again. It starts at 2:19 p.m (duration: 25 min). Start grid of race 2 in Assen 2017. After a free practice session, which ended with an horrifying crash of OPEN class driver Klaas Zwart (Team Ascari) and a smooth Qualifying with Ingo Gerstl (Top Speed) setting up the pole position, teams and spectators experienced quite a strange race at the end of the day at the “Gamma Racing Days” in Assen. 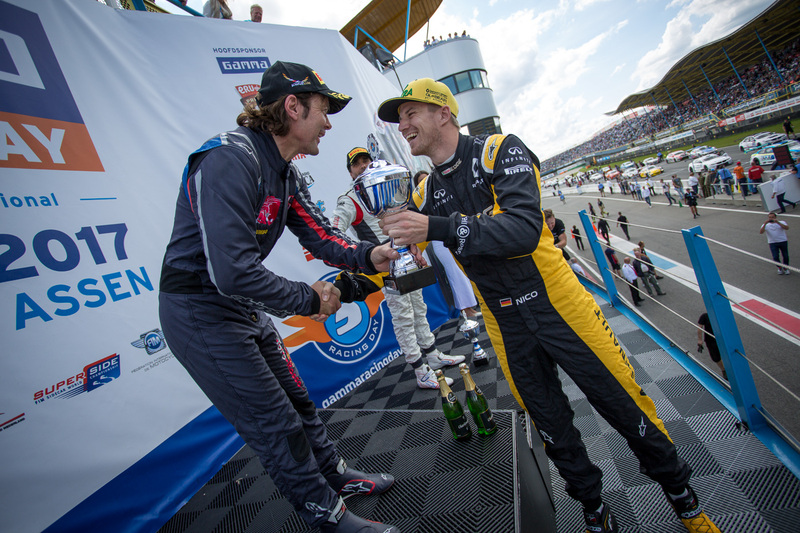 Two OPEN class drivers where left on track, after Zwarts exit: Ingo Gerstl and Wolfgang Jaksch (F Xtreme Racing Team). While Gerstl started on pole position with his Toro Rosso STR1, Wolfgang Jaksch started with his Super Aguri SA06 from position 5 in start grid of 14 drivers in total. For the first time this season current leader of the OPEN class overall ranking Ingo Gerstl didn’t finish his race. He spun off the track already in the warm up lap. “I passed an oil spill and twisted from the track”, Gerstl explained later. “Everything is fine, the car is totally flawless. It was just not possible, to return on track.” The Austrian now will set full power at the second race of the weekend on Sunday afternoon. Spun from the track in the warm up lap: Ingo Gerstl. So Wolfgang Jaksch was the only remaining OPEN class driver at the grid. And he managed well. After passing a safety car phase for four laps, due to a crash and twister of Wolfgang Jordan (H&A Racing) on the home straights, Jaksch overtook Marc Faggionato (Zig Zag) in lap 5 and the overall position 3 of the grid for the next three laps. While temporarily leaving the track due to an driving error, Jaksch fell back to position 4 in lap eight and even was overtaken by Salvatore De Plano in the last lap. The German finished on position 5 of the overall start grid, but made it to P1 of the BOSS GP OPEN class. Since OPEN and FORMULA class have different classifications, but drive together at the same race, the whole start grid of 14 drivers will start at the same race on Sunday at race 2 again. It will start at 2:14 p.m. (duration: 25 min). 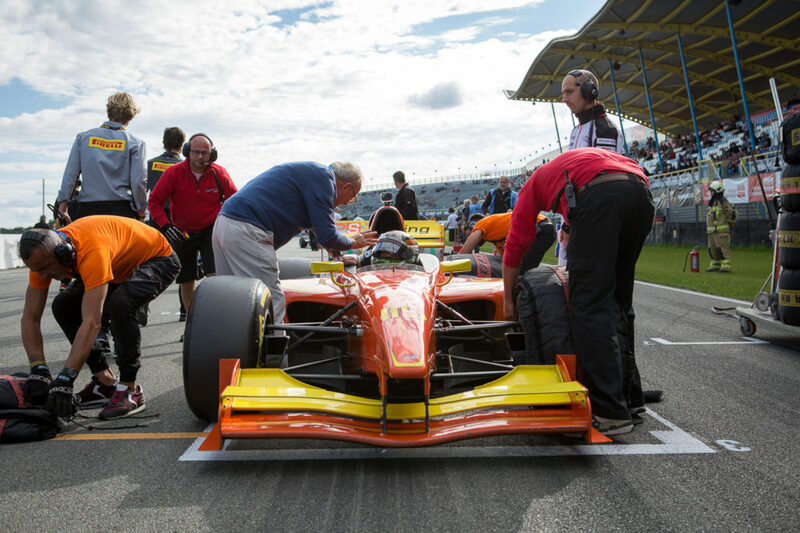 A start grid of twelve drivers is racing the FORMULA class at the “Gamma Racing Days” in Assen (NED) for season races 9 and 10. The “usual suspects” lead the field of the FORMULA drivers at Qualifying. 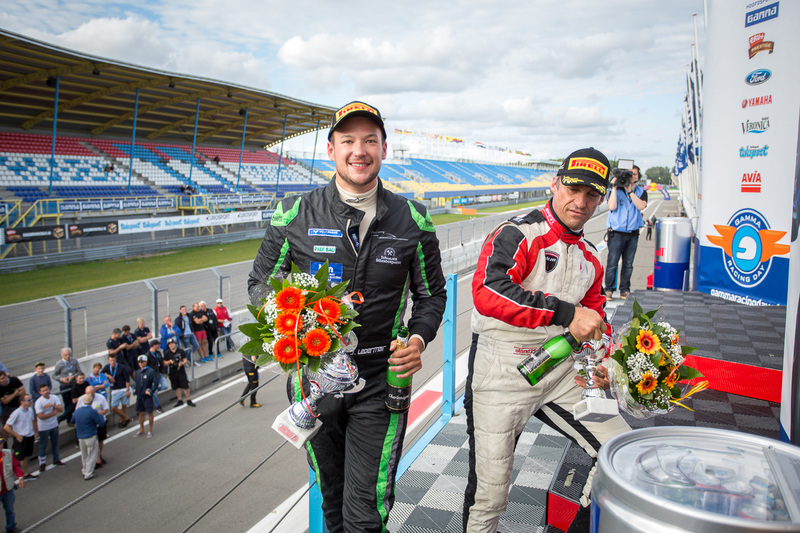 Johann Ledermair (Ledermair Motorsport), loosing the overall leading position of the FORMULA class while absent in Zolder (BEL) in July a couple of weeks before, obviously is aiming for getting back to the top position of his class. 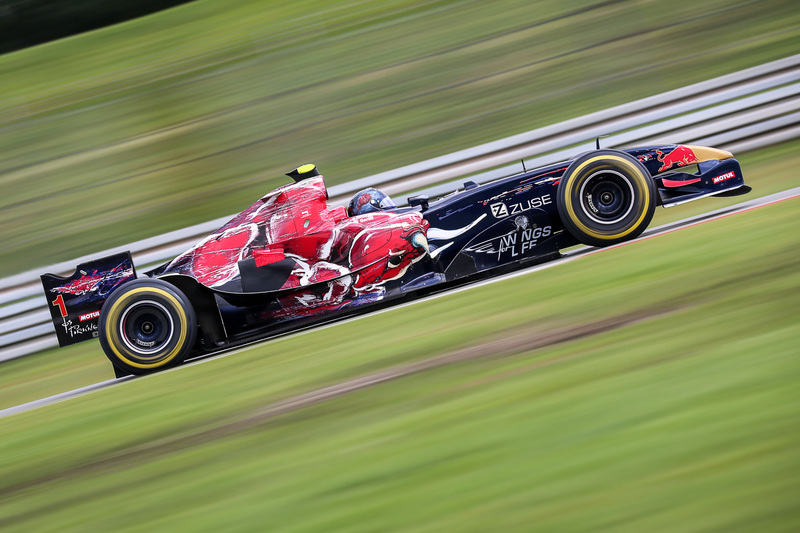 He performed the fastest lap of the FORMULA class field at Qualifying, with 1:25,192 min in his fifth lap with his Dallara GP2, still improving his best lap time from the free practice session (1:25,829). 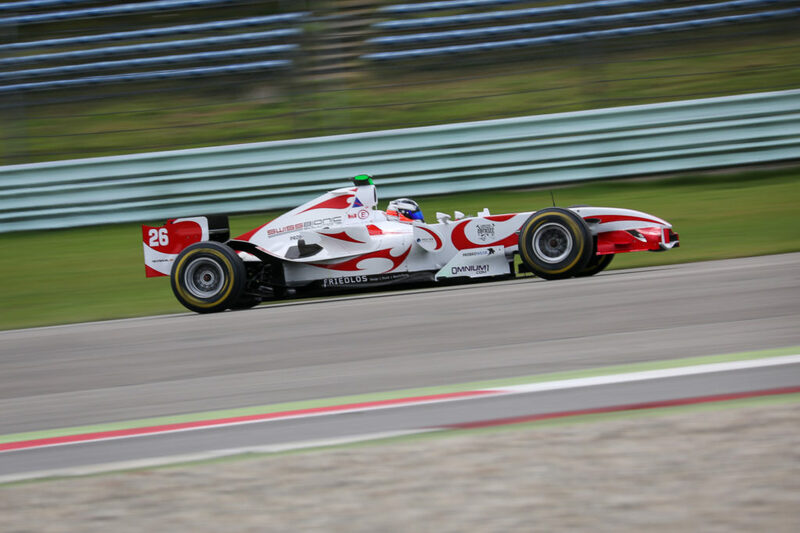 Ledermair was sharply followed by Salvatore De Plano (MM International Motorsport, Dallara GP2), who performed his best lap in lap 4 with 1:26,731. A gap of only 0,375 min behind De Plano, Mahaveer Raghunathan (PS Racing by Coloni Motorsport) was finishing his best lap at Qualifying in 1:27,106 with his Lola Auto GP, improving his lap time from free practice significantly. So it’s once more the trio of Ledermair, De Plano and Raghunathan leading the FORMULA field of the BOSS GP after Qualifying and starting from the front positions of the start grid. They are followed by Veronika Cicha (H&A Racing), who showed a great Qualifying and finished her best lap in her Dallara GP2 with 1:32,604. Armando Mangini (MM International Motorsport, Dallara GP2), Marc Faggionato (Zig Zag, Dallara GP2), Walter Steding (Inter Europol Competion, Dallara GP2), Peter Göllner (Speed Center, Dallara GP2), Wolfang Jordan (H&A Racing, Dallara GP2) took the next positions, as well as ‘PETER’ (Ray-Ban), who wasn’t lucky at the free practice with his Dallara World Series by Renault, but finished well at the Qualifying, and Christian Eicke (Speed Center, Dallara GP2). Karl-Heinz Becker left Qualifying already at first lap, due to technical reasons. Since OPEN and FORMULA class have different classifications, but drive together at the same race, the whole start grid of 14 drivers will start at the same race. Ingo Gerstl (Top Speed, OPEN class) once more this season will start from pole position. He is followed by FORMULA class drivers Johann Ledermair (Ledermair Motorsport), Salvatore De Plano (MM International Motorsport) and Mahaveer Raghunathan (PS Racing by Coloni Motorsport). 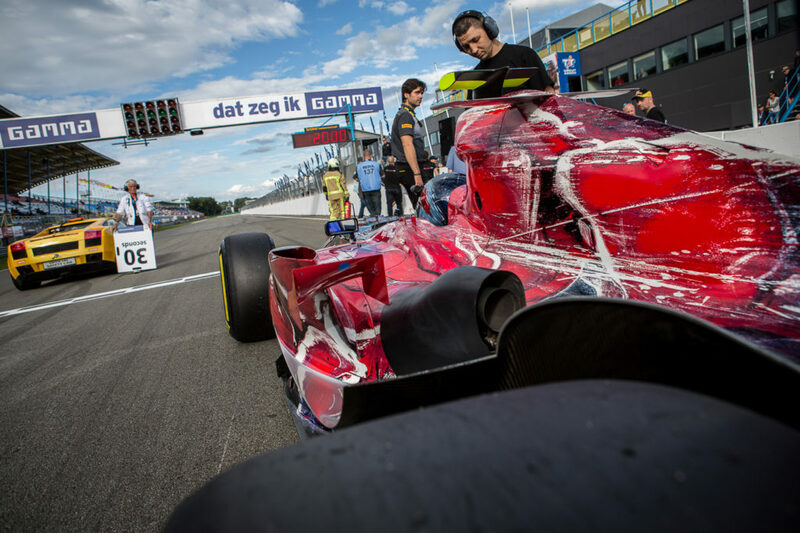 After his awful crash during free practice in the morning, Klaas Zwart (Team Ascari) is out of the “Gamma Racing Days” in Assen for this weekend. Luckily the local hero wasn’t injured. Finally two OPEN class drivers were remaining for the Qualifying, since Bernd Herndlhofer (H&A Racing) had to cancel the races due to technical reasons already before just arriving in Assen. It is now a battle between Ingo Gerstl (Team Top Speed) and Wolfgang Jaksch (F Xtreme Racing Team) for the podium. 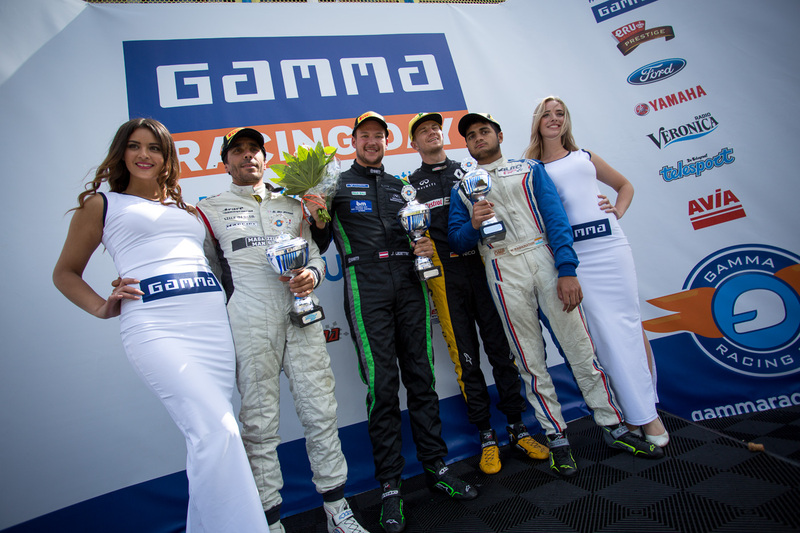 Apart from Zwarts cancellation of the remaining race weekend, the Qualifying at the “Gamma Racing Days” went smoothly. Drivers had to deal with difficult weather conditions: Sun and light rain alternated. At the beginning of the Qualifying a few drops fell down – a good challenge for teams and driver, finding the best setup for these conditions. Ingo Gerstl was the first driver on the 4,555 km long track, showing a sovereign and fast performance in his Toro Rosso STR1 and securing the pole position for the race in the evening once more this season. He drove his best lap time in lap 6 with 1:23,228 min. Wolfgang Jaksch followed with quite a gap and a best lap time in 1:31,272 in his Super Aguri SA06, nevertheless improving his lap record from the free practice. Gerstl passed seven laps in total, Jaksch six laps. 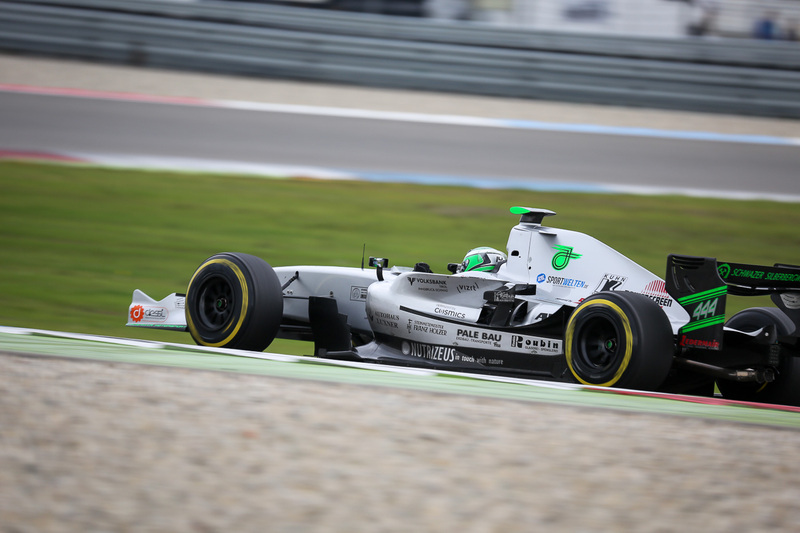 Wolfgang Jaksch on track in Assen 2017 with his Super Aguri SA06. Since OPEN and FORMULA class have different classifications, but drive together at the same race, the whole start grid of 14 drivers will start at the same race. So Gerstl once more this season owns the pole position, followed by FORMULA class drivers Johann Ledermair (Ledermair Motorsport), Salvatore De Plano (MM International Motorsport) and Mahaveer Raghunathan (PS Racing by Coloni Motorsport). 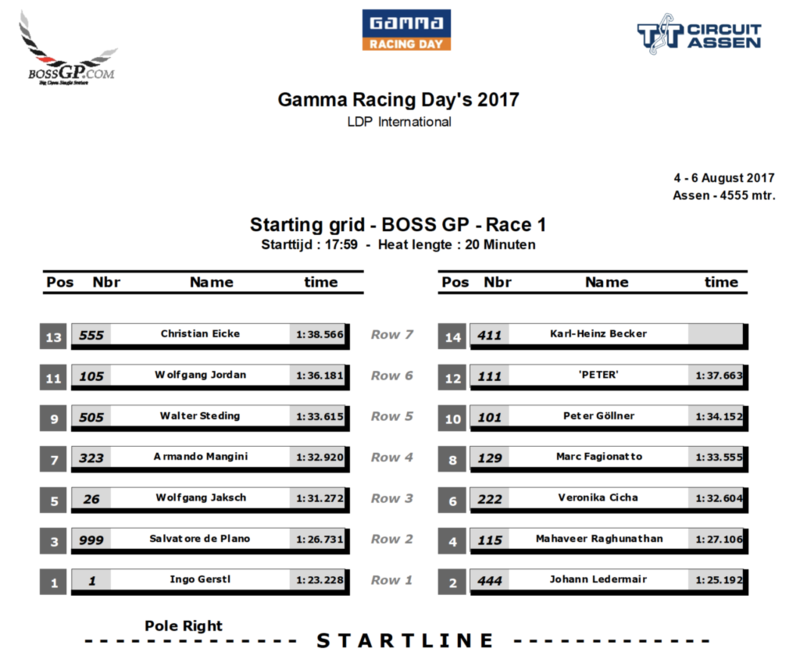 Wolfgang Jaksch will start from position 5 at the race (season race 9) in the evening, which will start at 5:59 p.m.
13 drivers had registered for the BOSS GP FORMULA class at the “Gamma Racing Days” in Assen (NED). 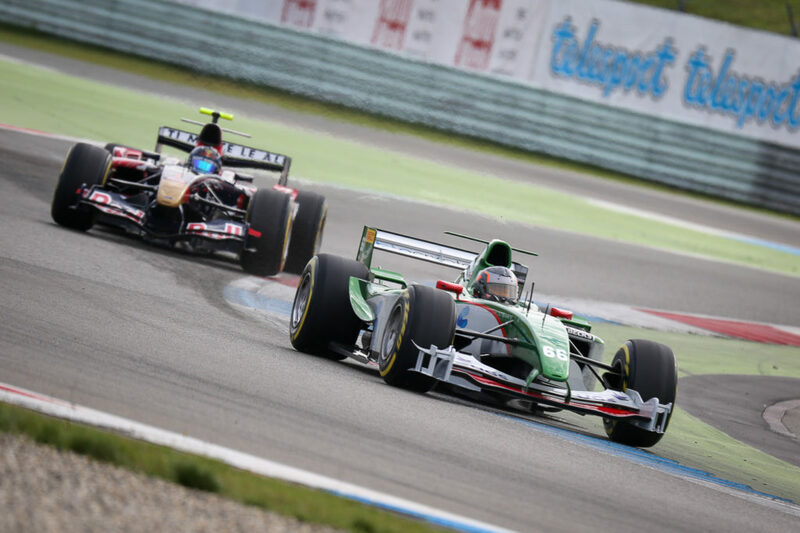 Season races 9 and 10 will take place at the circuit in the northeast of the Netherlands. One free practice for the races was scheduled on Saturday (5th of August) at 9:31 a.m. It ended earlier than planned with an horrific crash by Klaas Zwart (OPEN class). 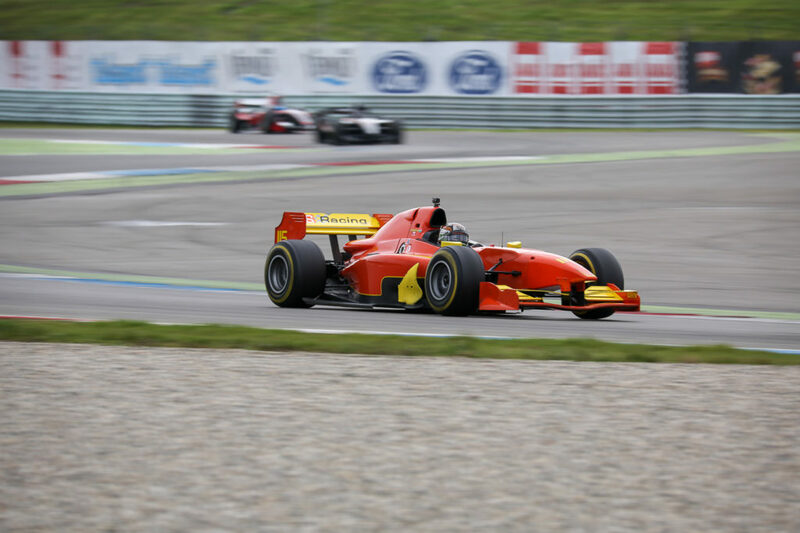 Both BOSS GP classes – OPEN and FORMULA class – went on track together for the practice session. Twelve drivers represented the FORMULA class. Henk de Boer (De Boer Manx) had to step back due to health issues already before the race weekend. Weather conditions were fine in Assen on Saturday morning: 18°, cloudy, but dry. The practice session started slowly, due to two yellow flag phases in the beginning. ‘PETER’ (Ray-Ban) spun of the track already in the first lap. Only minutes later, Wolfgang Jordan (H&A Racing Team) spun off the track as well. Then finally drivers tested the circuit at its best. Back on track after absence in Zolder (BEL) on 15th/16th of July was Johann Ledermair (Ledermair Motorsport). The Austrian was not only back on track, but also back on top, since he drove the fastest lap of the FORMULA class start grid at the free practice in 1:25,829 min with his Dallara GP2. As might be expected, Ledermair was followed by Mahaveer Raghunathan (PS Racing by Coloni Motorsport) in the Lola Auto GP with his best lap in 1:31,449. One can expect an exciting battle between Ledermair and Raghunathan on the track at the race, as we already have seen during the whole season. Mahaveer Raghunathan on track in Assen 2017. The following drivers showed as well some neck-to-neck-laps, with some really close gaps: Marc Faggionato (Zig Zig), Christian Eicke and Peter Göllner (both Speed Center), Walter Steding (Inter Europol Competition), Veronika Cicha (H&A Racing) as well as Karl-Heinz Becker (Becker Motorsport). Meanwhile Wolfgang Jordan had to quit free practice early, after he spun off the track after five laps driven. The free practice finally was cancelled after a horrifying crash of Klaas Zwart (Team Ascari) of the OPEN class. There won’t be another training session. The Qualifying will start at 1:04 p.m.
Four drivers had registered for the BOSS GP OPEN class at the “Gamma Racing Days” in Assen (NED). 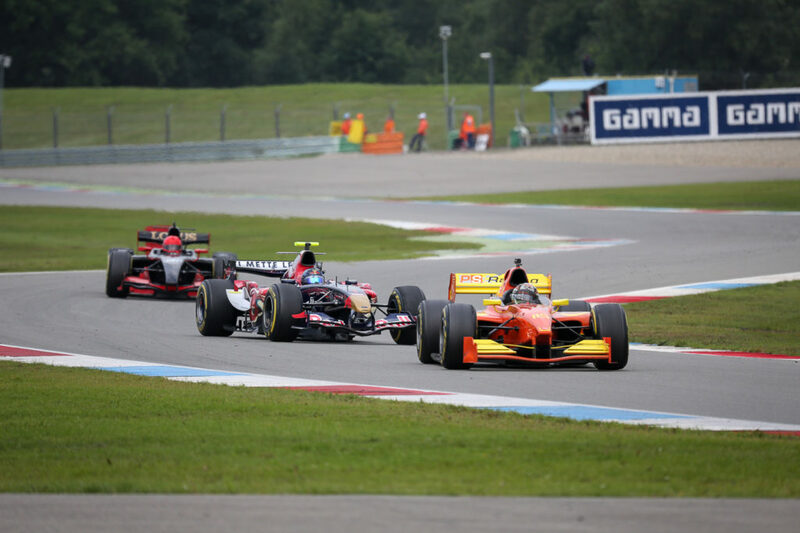 Season races 9 and 10 will take place at the circuit in the northeast of the Netherlands. One free practice for the races was scheduled on Saturday (5th of August) at 9:31 a.m. It ended with an horrifying crash by Klaas Zwart. 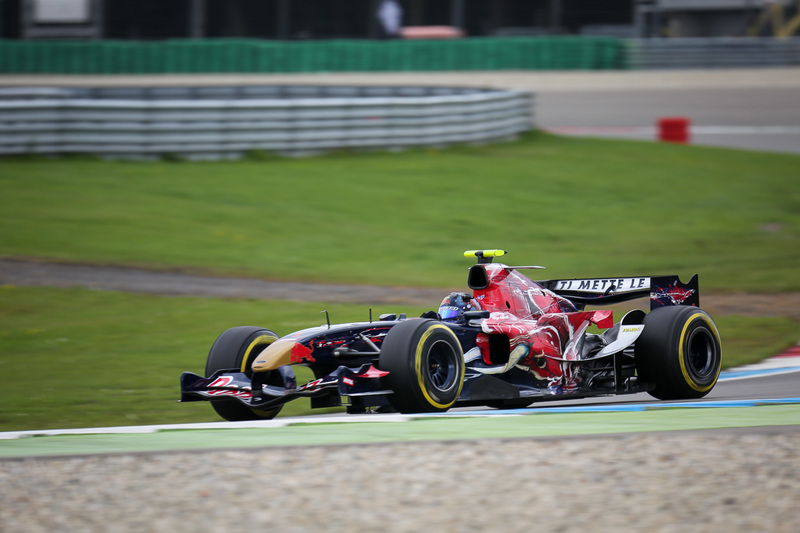 Both BOSS GP classes – OPEN and FORMULA class – went on track together for the practice session. Ingo Gerstl (Team Top Speed), Wolfgang Jaksch (F Xtreme Racing Team) and Klaas Zwart (Team Ascari) represented the OPEN class, Bernd Herndlhofer (H&A Racing) had to step back due to technical issues already before the race weekend. Weather conditions were fine in Assen on Saturday morning: 18°, cloudy, but dry. The practice session started slowly, due to two yellow flag phases in the beginning (‘PETER’ (Team Ray Ban) and Wolfgang Jordan (H&A Racing Team) spun off the track). But finally drivers tested the circuit with Ingo Gerstl finally racing the fastest lap of the start grid on the 4.555 km long track with an 1:18,263 min with his Toro Rosso STR1. This insane time meant new track record in Assen by the Austrian – previous track record was a time of 1:18,765. Since official track records only count during races, but not during practice or Qualifying sessions, Gerstls time stays an inofficial record. Wolfgang Jaksch showed his best lap in 1:33,210 with his Super Aguri SA06, having a clear gap to leading Gerstl. Klaas Zwart (r.) in front of Ingo Gerstl (l.) on track in Assen 2017. The free practice finally was cancelled after the crash of Zwart. There wont be another practice session. The Qualifying will start at 1:04 p.m.